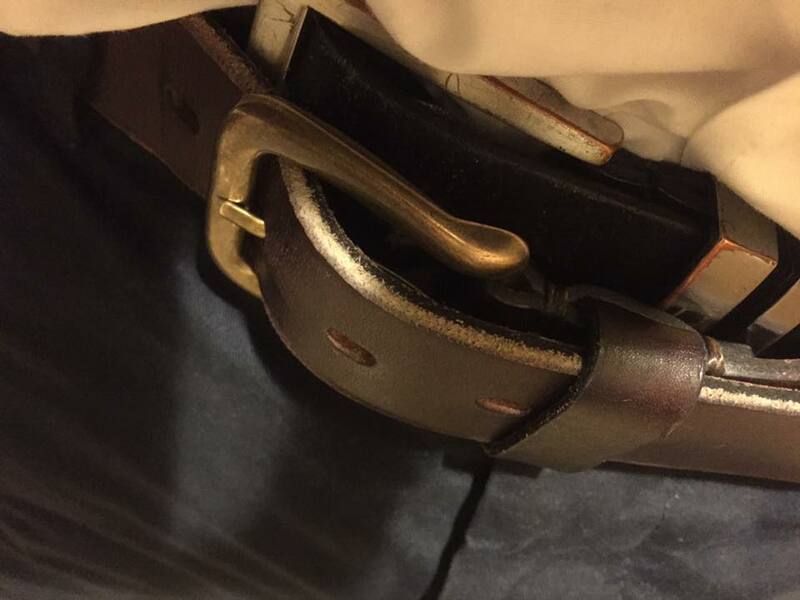 I had 5 minutes to get ready and leave the house for a gig and I only noticed when I arrived that I had managed to put on two belts! It’s pretty funny and I realise I’m opening myself up for teasing, but I wanted to put this out there as an example of absent mindedness. People can often have automated actions and it’s only when we catch ourselves that we suddenly wake up. Classic examples include putting the milk in the cupboard/cereal in the fridge, not realising someone is talking to you and perhaps the scariest of all: driving your car and not remembering the journey! These moments are not necessarily a problem (unless you run someone over in the car!) but if you’re not in the moment then you are missing out. I, for one, find the looping nature of my thoughts completely destructive and I catch myself as often as possible to focus on the present. Who wants to be stuck in their own head all the time when life is passing by and offering such amazing gifts? I realise I’m running the risk of a lot of followers clicking the ‘unsubscribe button’ here but this week I want to talk about meditation. Meditation is something Ive been interested in for a long time and I’ve noticed that the most successful people in the world endorse it. It’s a practice which, for me, gives me the greatest gift; it takes me out of my looping analytical thought patterns and makes me feel good. I use it for completely selfish reasons…my own happiness. It’s benefits are much greater than this however and if you Google it, I’m sure you will discover these from someone far more qualified than me! Like most, my time is limited so I’ve discovered that meditation can be something you can do for 50 minutes, 5 minutes or even just 5 seconds. You can also combine it with other activities like mindfully mowing the lawn, vacuuming the house or in my case, playing a musical instrument. This is my routine for mindful practice which not only clears my mind but sets up the rest of my practice session, increases my focus, decreases judgmental negative thoughts, improves technique, improves time feel, allows visualisation, gives a greater sense of achievement and makes me happy. I find though, with the first 5 minutes of mindful long tones I can easily continue with long tones for another 25 minutes straight without feeling bored or wanting to flick constantly between areas of focus. If you are interested in this subject then I would highly recommend Kenny Werner’s Effortless Mastery and if you are in the UK then please have a look at a the Midlands School of Practical Philosophy run by a friend of mine. I’ve attended this school weekly and also attended some of the weekend workshops; they are excellent. Lastly, if you would to rib me for my two belts fail then leave a comment below! << Riley Music Academy Music Cast: Too late to take up a musical instrument?